Welcome to Village Vitamin Natural Market, where your health is our passion! 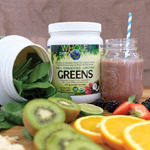 Our mission is to increase the health and well-being of our customers, through informed natural choices. With an emphasis on education, specific to the needs of each customer. BRING IN THIS AD ON YOUR MOBLE DEVICE, FOR HEALTHY SAVINGS! To increase the health and well-being of our customers through informed natural choices, with an emphasis on education specific to the needs of each customer.